Your ‘oh so perfect’ eyebrows aren’t only a result of hitting the genetic lottery, but it takes a lot to keep them that way. We know everyone desires the perfect set of brows. Maintaining their arch and shape is very difficult, but necessary to give your brows a perfect look. Visiting a professional brow technician is a good idea when it comes to treating your brows right and also knowing where to get your brows done. 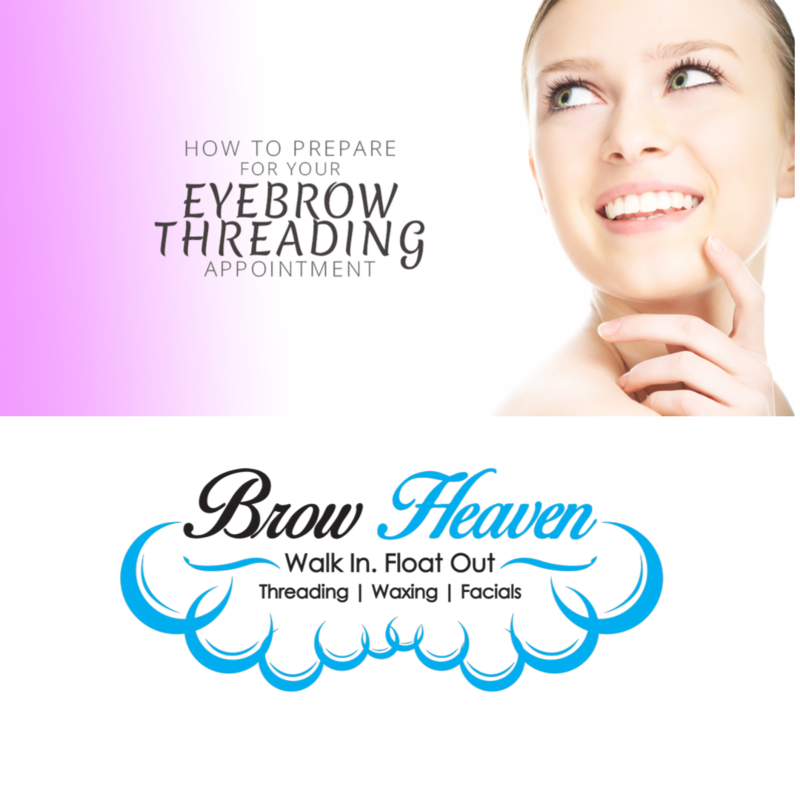 Estheticians at Brow Heaven Threading Studio understand which of those tiny hairs count, and which ones have to go. Threading, an age-old Indian technique of shaping eyebrows is the best way to achieve perfect brows. Threading ensures you great results and cleaner looking brows. This technique of threading involves used a thin cotton thread and rolling it over unwanted hair and plucking them out at the follicular level. This technique is fast and effective as it gives the technician complete control of your brows and shaping them. 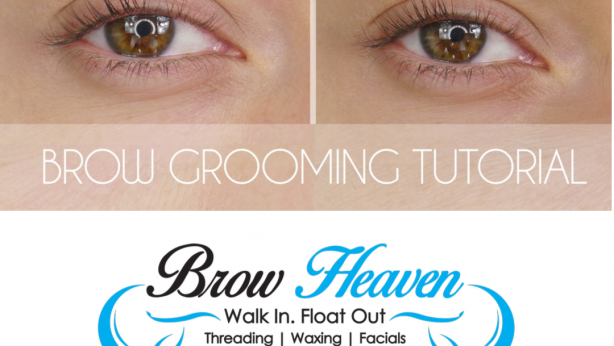 It is one of the most natural processes, although it might pinch a little, it is the best way to get perfect brows. You should know where to get your brows done, and once you do, stick to it. Once you’re ready to get onto threading to get your perfect brows, don’t touch them yourselves. Unless you have the expertise. Let your brows grow back to the fullest and then get them threaded. The reason to let your eyebrows grow to its fullest length and thickness is that the technician can shape your brows well and they won’t become too thin. Make sure before you go for your upcoming threading appointment, exfoliate a little. When you use a scrub or exfoliate your face, make sure you do the same for your brows. This will help prevent the growth of ingrown hairs, flaky skin, and dry skin cells. It will also loosen the hair follicles a little, so it makes the threading process smoother. Make sure your eye makeup is light before you visit a threading expert. Especially if threading makes your eyes water, skip the eyeliner and the mascara. Watering eyes is totally common during threading. Avoid using brow pencils, concealers or gels. Honestly, go with a bare clean face that would be the most ideal. If your face is sensitive to any beauty treatment or procedure, it is more likely to break out, or cause redness. To avoid this, carry a tube of Aloe Vera gel, hydrocortisone cream or any other antiseptic gel or cream. Neosporin ointment is also very practical to use post threading since it is a blend of neomycin, polymyxin B and bacitracin to cool down the skin and prevent redness or infection. Communication is key. The way you communicate with your hair stylist about how you would like your hair to look, similarly, communicate with your technician about how you would like your brows to look. It is important that you let her know what you want. Tell the expert, whether you want a cleanup, or a certain shape, or how big you want your arch to be. Be accommodating when it comes to the procedure. Your esthetician will ask you to pull at your eyebrow area, to keep it taut, so all the tiniest of hairs come out. Tight skin will give you optimum results out of threading. Yes, threading does hurt a little bit, but it’s not something that you won’t be able to bear, some discomfort and redness are bound to arise from the procedure, but it is entirely normal and will go down within a few minutes. Keep these few things in mind before your next brow appointment, so you are well prepared and that it’s easier on you and the technician as well. 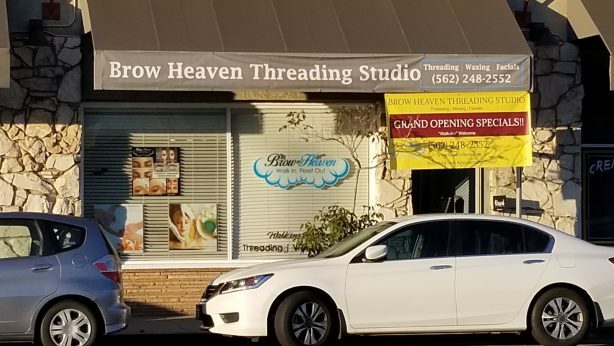 Best Eyebrow Place Near Me - How Long Does Eyebrow Threading Last?